SLE-Proceedings & Content Repository Builder is an online solution for presenter content. It enables conference professionals to build proceedings and repositories of Abstracts, Speaker Presentations, E-posters and other session material for online publication post-event. 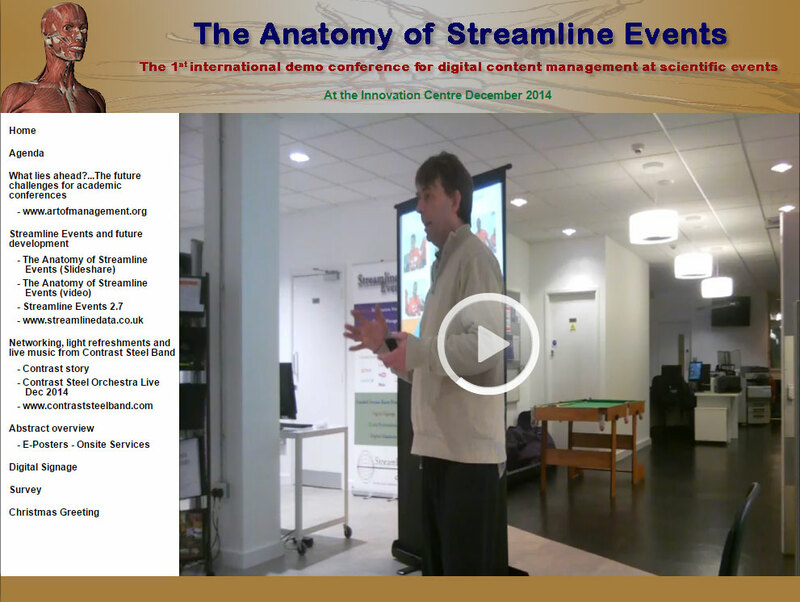 Content repositories are source of knowledge and a point of reference for delegates. In-built facilities enable event professionals to comply with copy right ownership. Authorised access provides event professionals the ability to manage accessibility of content. For attendees, knowledge repositories provide tangible benefits while extending the learning experience gained on-site. Proceedings and repositories create enduring conferences and a base of knowledge - also for members or individuals that couldn't participate. Sponsor material becomes re-experienced by attendees and users of the content. Advanced search and filter facilities. User-friendly structured layout makes easy for users to browse content with the help of menus. Streamline Events includes five element wizards from where local content as well as social media content can be uploaded or embedded. Local content can be uploaded in the following formats: PowerPoint, Images, Pdf, videos and Image Slideshow and Web pages can be created. Embed social media content from the following sites: YouTube, Slideshare, ISSUU, Flickr and Google as well as any other online content that can run in a browser. © Copyright Streamline Data Ltd 2010 - 2017 all rights reserved.